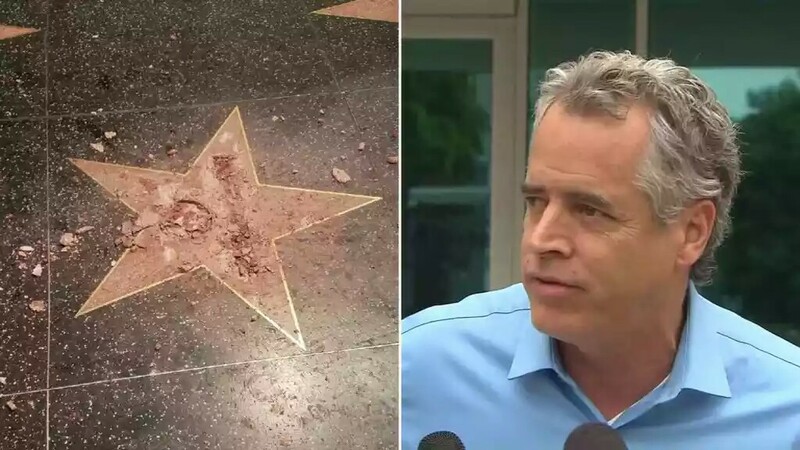 James Otis, the man who obliterated Donald Trump’s Hollywood Walk of Fame star last year, has avoided jail time. Following the October 2016 incident, Otis was charged with felony vandalism for taking a sledgehammer to Trump’s Hollywood star. Otis struck a deal, pleading to 3 years of probation and 20 days of CalTrans work. In exchange, he won’t have to spend any time behind bars. Otis will still have to come out of pocket, however. He has been ordered to pay $3,700 to the Hollywood Historic Trust and $700 to the Hollywood Chamber of Commerce, likely to cover the costs of repairing the star.